Good. VG condition book with dust jacket. Unclipped DJ is clean, has fresh colours and has little wear to edges, small loss front btm and repaired tears. Book has clean and bright contents, no markings. Very Good. 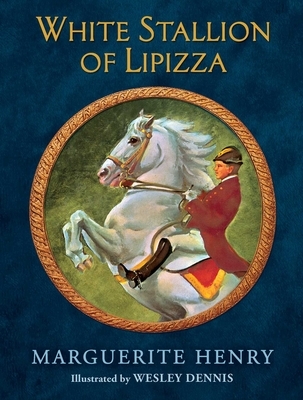 White Stallion of Lipizza by Henry, Marguerite, 1976-10-21. 128 p. Intended for a juvenile audience. This book has been a pleasure to look thru, and it is one of the books listed in the History of the Horse by Beautiful Feet Books. We will be excited when we reach the point in the program that we are supposed to read it... My child is itching to read it, however it will not be read till we reach that point. Very well put together and in great condition for its age.